Take the good with the bad: This is all about finding the right perspective — especially when things go wrong, as they are bound to. When I reach a point where the situation begins to feel dire, I check the lens through which I’m looking at it. Instead of allowing myself to become overwhelmed with negativity, I make an intentional effort to identify the positive in the situation, and furthermore, single out a key lesson that I can use when the next setback arises. 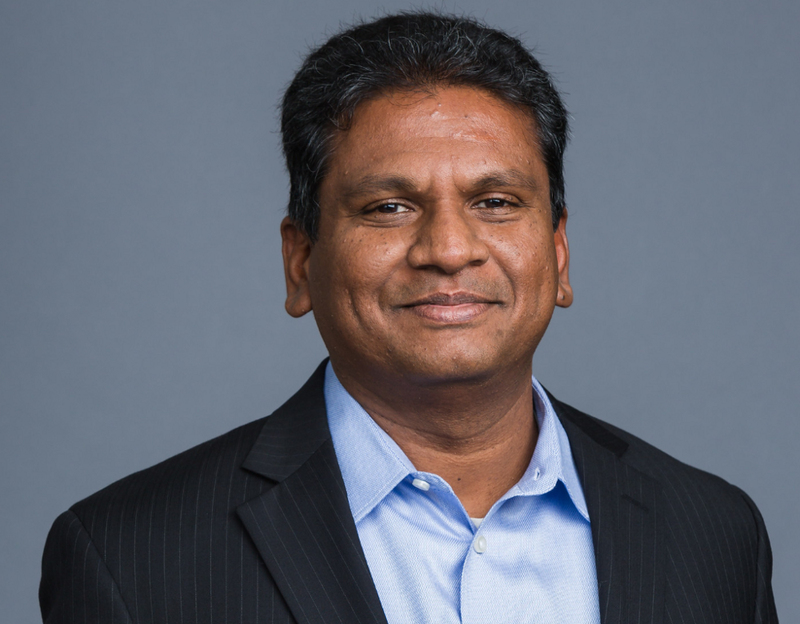 I recently had the pleasure of interviewing Thiru Thangarathinam, founder and CEO of MST Solutions, the largest Arizona-based Salesforce CRM and marketing automation consulting partner. Born in India, Thiru earned a bachelor’s degree in engineering before moving to Arizona, where he took his first job as a web developer. Now, with more than 20 years of IT experience under his belt, Thiru has helped MST Solutions grow from a team of two operating out of a 500-square-foot office to 75 employees operating out of its 13,000 square-foot headquarters, and 200 employees located at MST’s two India offices — all in a matter of six years. In addition to this, Thiru is a noted author of technical books and has published more than 140 articles across leading industry publications throughout his career. In my previous job, I worked as a senior director and platform architect for a group that owned several for-profit educational institutions. It was a great job and certainly checked all the boxes. It provided me a steady paycheck, I was able to support my family, and it challenged me. But despite its benefits and stability, I had reached a point in my career in which I felt the desire to control my own destiny in terms of where I wanted to work and who I wanted to work with. I also wanted to be closer to my and my wife’s aging parents. This led me down the path of entrepreneurship, and I launched what is now MST Solutions. Initially, I built the company in India, but then expanded operations to Arizona, which is where we have our headquarters. We still maintain two offices in India. I will be the first to admit, I had no idea what life as an entrepreneur would be like. I just knew that when I eventually looked back on my life, I didn’t want to have any regrets. Each of these factors was reason enough for me to strike out on my own. The first year in business was an incredibly trying time. We were a Salesforce integration partner, and as such, we were placing all our bets on the success of Salesforce, which at the time was still considered a risky platform to build a company on considering not much was known about it back then. To add to this, I had a wife and two young children who were relying on me. And as the sole breadwinner who had just put all of my life’s savings into this startup, the pressure was intense. Despite these challenges and the fear I felt as a first-time entrepreneur, I saw great potential in my vision and committed to do all I could to turn it into reality. I wasn’t born with a silver spoon dangling from my mouth — quite the contrary. It was instilled in me at a young age to work hard at every aspect of life. I attribute these early lessons to many of my successes today. As I worked tirelessly to get my company off the ground during its beginning stages, I was confronted with one challenge after another. Knowing that I never wanted to go back to the career I once had — one that filled me with anxiety and paranoia — I set out to tackle each and every setback that came my way, determined to continue moving forward. As I continued to progress as an entrepreneur, I came across a book that really helped me to put my future goals and ambitions into perspective. “Mindset: The New Psychology of Success” by Carol Dweck talks about how to overcome shortcomings and limitations to rise above. Essentially, it reminds us that each moment of adversity is a learning opportunity to grow and become the best versions of ourselves. I try to implement the lessons from this book in all aspects of my life as much as I can. During that tumultuous first year, I learned to appreciate each and every scar I gained along the way. In my mind, my mistakes are hard to erase — this is the same for most people. Instead of continuing to dwell on them, which only gave them more power, I made a concerted effort to identify a positive lesson I learned from each, helping to prevent the tough times from bogging me down. This mechanism for managing my stress has continued to serve me well, both personally and professionally, allowing me to focus on the task at hand to achieve my long-term goals. As a result, MST Solutions began to gain some real traction. Eventually, the team and I were able to build a career through MST, our client list was slowly growing, and I began to feel hopeful for the future. I was emboldened by the fact that our company’s vision to become a trusted partner for clients by providing unmatched quality and service was coming true. Things are going incredibly well. Amazing, really. 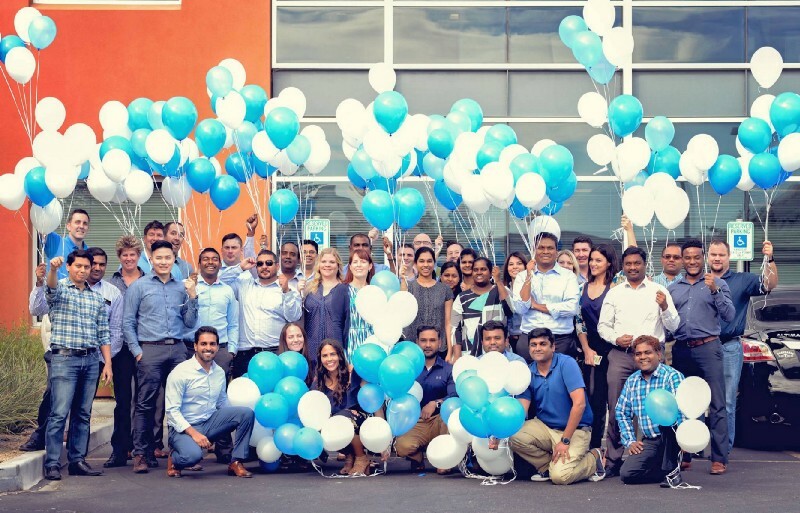 MST Solutions has grown from a team of two to a team of 275 operating our of our three offices — one in Chandler, Ariz. and two in India. Since our inception, MST Solutions has averaged 10% year-over-year growth, and in 2018, we are proud to announce that we experienced a 45% growth in revenue. In fact, in the past three years combined, we’ve achieved a revenue growth rate of 286%. These accomplishments have earned us a spot as one of the nation’s fastest-growing companies on Inc. Magazine’s Inc. 5000 list in 2018. Despite our rapid growth, I’m proud of the fact that we have maintained an unparalleled focus on creating an intentional culture that aligns with the company’s values. Our “Three Cs” — Customers, Colleagues, Community — have remained the backbone of our company since its early stages. It’s this steadfast commitment to our core culture that I believe to be a contributor to our company’s ability to maintain an impressive 80% client retention rate in addition to a 95% employee retention rate. Practice unbiased decision-making: While I attribute one of my greatest leadership strengths to my ability to listen without judging and make meaningful connections, there are times when I have to set aside my personal relationships and make decisions based on the needs of the company. Unbiased decision making isn’t the easiest part of my job, however, it is necessary to ensure that each of our employees’ vision aligns with that of our company’s, further propelling MST Solutions forward. Keep core values at the heart of the decision-making process: At MST Solutions, our community outreach efforts are of utmost importance to us. 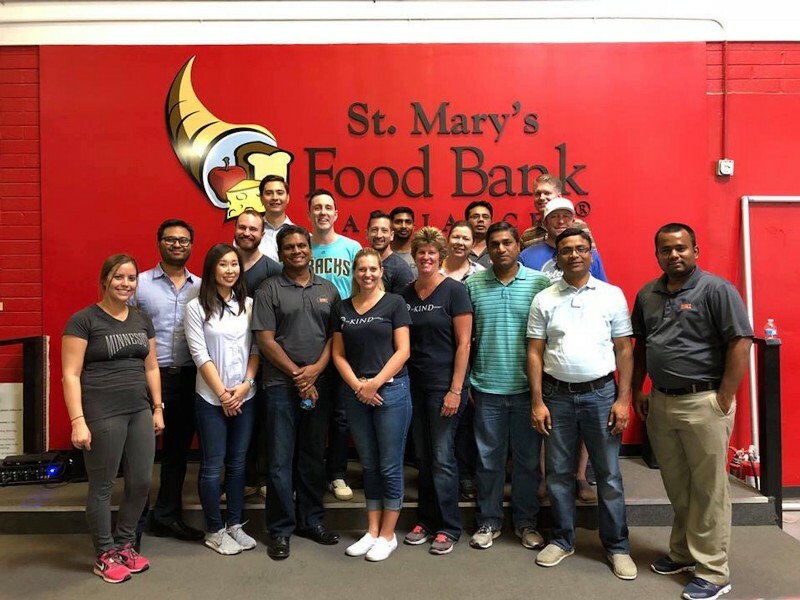 Not only do we regularly donate our time and money as a company to local nonprofits, we also encourage our employees to seek out their own individual charitable projects. However, there are times I’ve questioned the level of investment we are making in community-related activities. Whenever I have doubts, I refer back to our core values — our “Three Cs” — which hit heavily on the importance of giving back to the community. It’s a good reminder of the foundation our company was built on, making it easier for me to justify the time and energy we spend on our philanthropic efforts. Stay focused on the big picture: As an entrepreneur, there are many times I wonder whether we are heading in the right direction or if we need to change course because of the conflicting views and data points I encounter on a daily basis. To remain on course, I stay persistently focused on MST’s vision — our big picture — steadfastly ignoring smaller distractions that could potentially derail us. Adopt a growth mindset: As I mentioned above, “Mindset: The New Psychology of Success”helped me understand the importance of tackling setbacks one at a time, learning from each one along the way. This is critical to maintaining a tenacious hustle that will allow you to accomplish your goals. My mentor, Michael Denning. He has helped me through a number of challenges that I’ve had to deal with as an entrepreneur. He has consistently provided me with objective feedback that has helped me to view each roadblock from a different viewpoint. He is someone I trust implicitly when it comes to business leadership. As I mentioned, one of MST Solutions’ “Three Cs” is Community — and it’s what I consider to be our key differentiator. Our company regularly donates money and time to local organizations, including Southwest Autism Research & Resource Center (SARRC) and Matthew’s Crossing Food Bank. We have also recently entered into a partnership with a local hospital, Phoenix Children’s Hospital, and I’m very excited to see the additional community outreach opportunities this relationship will lead to. Additionally, our leadership supports the creation of employee-led programs, such as The KIND Project, created by our Practice Lead of Salesforce Managed Services. The program partners with several local nonprofits to offer job coaching to underserved young mothers. We are currently looking to expand our services into the healthcare field, an industry that is rapidly evolving. As a result, organizations are expected to innovate and transform faster than ever before to deliver more precise, targeted care and make data more accessible across the care continuum. Simultaneously, care providers, payers and organizations across the care continuum are also trying to achieve interoperability to stay compliant with current reform efforts. As such, they’re in need of technical partners who can help them navigate these waters and we’re doing some exciting work in this area that’s helping improve the experience for all involved in the healthcare equation. Invest in your employees — not just financially, but in all aspects of their well-being. How do you do this? Start by creating an environment where employees are comfortable being their authentic versions of themselves, where they can express their views freely, and grow personally, professionally and fiscally. Secondly, make a point to clearly establish core values and ensure every employee understands what those core values are. Lastly, recognize employees for their many and varying attributes. As business leaders, we want nothing more than for our employees to accel within the company — but it’s up to us to create an environment in which they can do so. It would be through Conscious Capitalism. Although it’s a movement that has quite a bit of momentum, it’s one that I, and my team at MST Solutions, will continue to be a part of. Conscious Capitalism is a platform for businesses to do greater good for the entire world — reminding those who practice it the importance of maintaining a true balance between purpose and profit. The tenets of Conscious Capitalism and conscious leadership further aligns with our core values, helping us to continue elevating humanity through our business practices. Sleep your way to the top — more of a concept than a quote — was the title to a past Thrive Global article written by Arianna Huffington. While it was the title that caught my attention, it was the message that has stuck with me. As a leader of a young, fast-growing company, I regularly find myself in a spot where I have to make an impactful decision without having access to all of the data. To this end, being mindful and emotionally intelligent is a fundamental mental state that I must maintain to confidently make those decisions. In her article, Arianna explains that many of us fall prey to thinking that we measure our success based on “the amount of time we put in at work, instead of the quality of time we put in.” She even quotes Bill Clinton, who admitted, “Every important mistake I’ve made in my life, I’ve made because I was too tired.” I don’t want to follow that same path. I need the decisions I make for myself and my company to come from a clear, level-headed place.